Beautiful white satin badges based on original 1856 campaign ribbons! 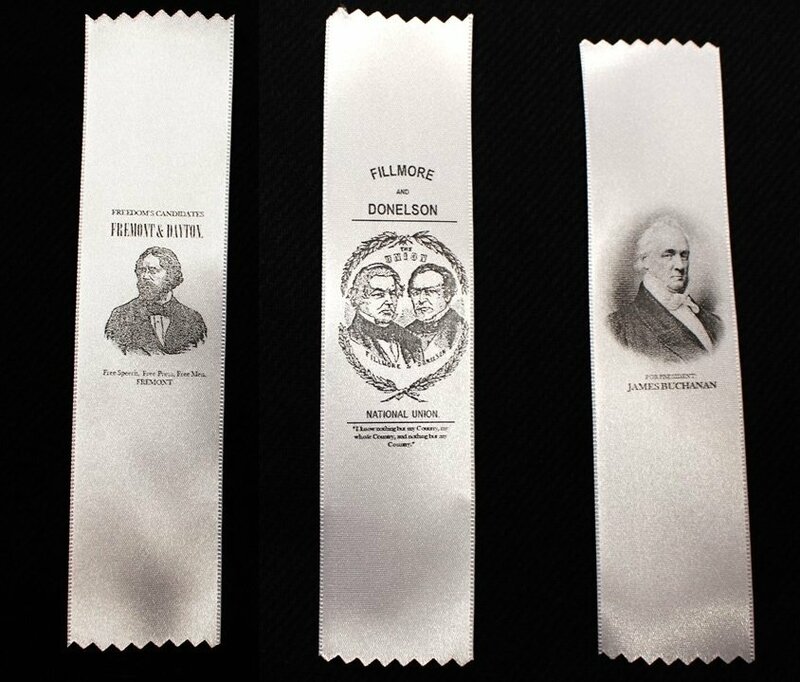 Choose your candidate: Buchanan, Fremont or Fillmore. Approximately 6" (15 cm) long and 1.5" (4 cm) wide. In 1856, James Buchanan and John C. Breckinridge won the election with 174 electoral votes against John C. Fremont and Millard Fillmore. Buchanan was the last Democrat to win the presidency until 1884.